From 25-29 March 2019, IGRAC and UNESCO-IHP organised a 5-day advanced training on modelling and Geographic Information Systems (GIS) to groundwater specialists from the Republics of Uzbekistan and Kazakhstan. 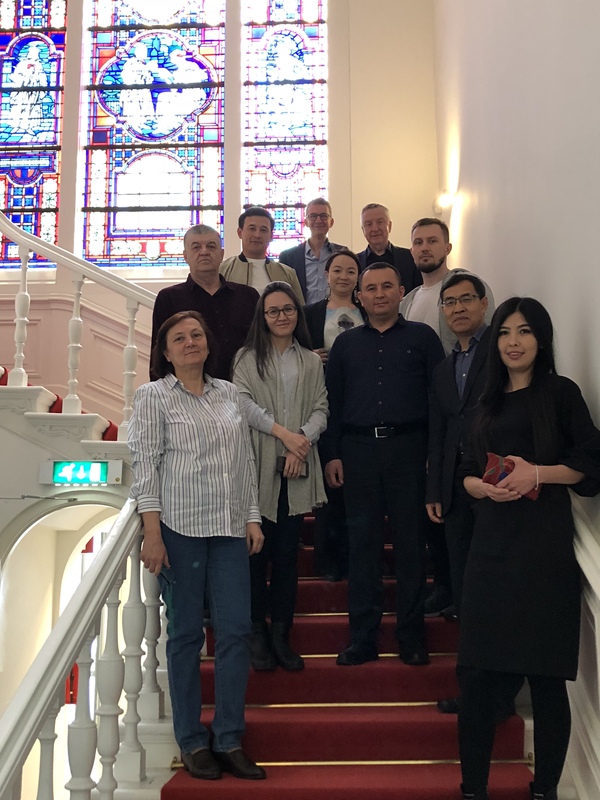 This training was held in Delft, the Netherlands, in the framework of the GGRETA project and with special emphasis on the Pretashkent Transboundary Aquifer. groundwater regime and availability, in estimating impact of human activities and climate change and in analysis of various water management scenarios. With this in mind, IGRAC, UNESCO-IHP and IHE Delft developed a training that consisted of two components, namely: GIS and Groundwater Modelling. Open data were in focus of the GIS part of training, including access to data, their processing in QGIS and sharing via Spatial Data Infrastructure (SDI). It was a hands-on session in which the participants successfully worked their way through several GIS exercises. The main part of the training was dedicated to groundwater modelling and in particular to regional groundwater flow modelling using GMS (Groundwater Modelling System) MODFLOW. As a part of the training, participants visited the Deltares, an institute for applied research on the field of water. 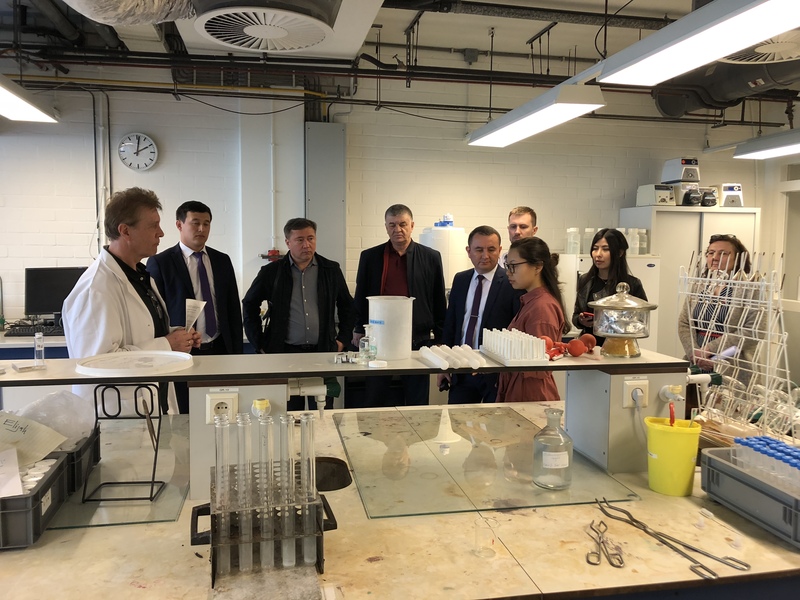 They also paid a short visit to laboratory of IHE Delft, specialised in water quality research. The current phase of the GGRETA project is closed at the meeting in Paris, immediately after the training in Delft. Modelling of Pretashkent aquifer will be one of the major activities of the third project phase, planned to commence in September this year.